:heartbea:THE MASTIFF LOVE CLUB! The sequel ! - This Forum is brought to you by The Mastiff Sweet Spot and Friends of the Forum. 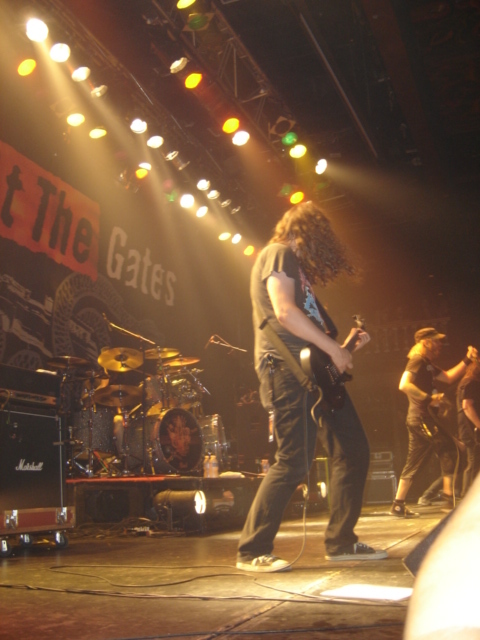 I'm going to see At The Gates tonight - one of my favorite Swedish Metal Bands! Yeah go out and have fun.........Please remember that music is fun, but there is a different mood with different music. So if you have to knock them in the head........go romantic-LOL Body slamming is more than just a metal head frenzy! Where Mastiffs and Dragons play! This post may not be forwarded, copied, transmitted, or reprinted without the permission of the sender! go romantic-LOL Body slamming is more than just a metal head frenzy! Keith Anderson Pickin' Wildflowers(C) 2005 BMG Music. Angie, Angie, Angie..........did you have fun and what went on????????????? It's brighter than the sun, sun, shine. ROFLMAO, how many years have you known me? How many times have I had to tell you I am so much better at this game of poker than you??????? 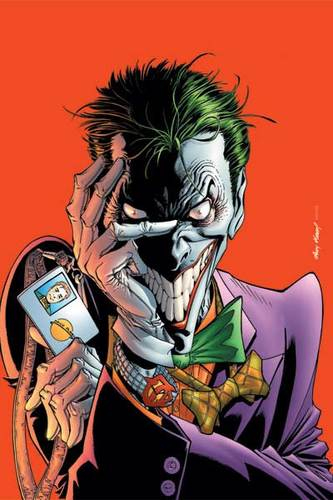 I love the chatter as the cards hit the table one by one..........you know I could hear your teeth chatter and fingers tremble on that last song when I threw it down........remember sometimes you can bluff your way to a win. You can not trump this queen! Now have fun with the girls.........decorating star and food star are on........Now I love those shows. YouTube - Randy Rogers Band - Kiss Me In The Dark: . Well I was moving at the speed of sound. Didn't know that I was going down. Where I've been, well it's all a blur. What I was looking for, I'm not sure. Too late and didn't see it coming. And I went up in flames. But then you breathed your breath in me. But I can't walk away. Somehow, I couldn't stop myself. I just wanted to know how it felt. Too strong, I couldn't hold on. Out of how and why this happened. Where we're heading, there's just no knowing. Oh, just what I need. Welcome to the special feature - The Elements of Love. Click on an element below to discover potential compatabilites. Can astrology help to improve your love life? Of course! It can provide a valuable insight into your emotional make-up - and it can reveal the secret needs of your loved one. Here, we discover which of the four traditional "elements" you belong to. First, find your own. Next, find the element of your partner - or the person you would like to be your partner. Then, just use a little imagination. Think of yourself as a flame (if you're fire) a tree (if you're earth) a pool (if you're water) or (if you're air) as a free flowing wind. Then do the same with the person you're trying to match yourself to. Consider whether fire goes better with air or water? If you happen to be a tree, are you going to be happier near a pool or a flame? By exploring this simple, traditional idea, you can cut out all the complication that surrounds a relationship and gain insight into the basic chemistry behind it. Please though, be aware that any element can 'work' with any other, provided conditions are right. It's just that some elements have an instant affinity while others need to go through a delicate process of adjustment. Ultimately, this means that in love, there's hope for us all, no matter who we are with. You just have to find some way to stay in your element whilst allowing your partner to thrive in theirs. All contents and artwork copyright 2008. World rights reserved. Oh Boy, a new game in determining Love I will play!!!!!!!! If I look at my sign...........I need alot of Bull???????? I am the Earth sign, so I am a Dirty girl. I think I have this right.......or my interpretation could be wrong I immediately went to this in mind, a little Eartha. Hmmmm . . . I am an Aries, FIRE! LOL! I had a date last night with an Aquarius, thought that was a water sign? I have another date today not sure about his sign. Yep, a different guy lol! Am I hearing something about feast to famine, or the other way around lol? Tell me if it was just when you least expected it???????? It seems it is always that way. Make sure you tell him you are not really from Ca Sister girl!!!!!!!!!!!! 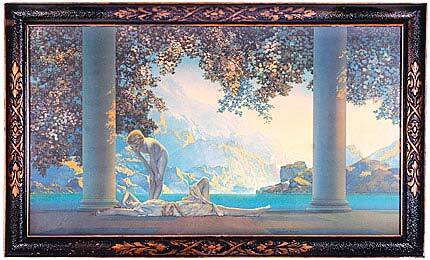 This is what 'Daybreak' looks like in Ludwig's book, Maxfield Parrish. But I was privileged to view the original about twenty years ago, and what you see above isn't really what it looks like. I was mesmerized when I saw the painting in Alma Gilbert's original gallery in San Mateo. She had it set up with a strong light on a rheostat directed from behind and slightly above the viewer. When the rheostat was turned up to shine more light, it was really and truly like day was breaking. Instead of a noun, the title was a verb! The painting is not nearly so blue as most reproductions make it seem. I think this is one drawback of the reputation of "Parrish Blue" - paintings that are not prime examples of the term are shoehorned into the mode during reproduction. 'Daybreak' is pinks and lavenders and dark greens and, with sufficient light, golden. It is only peripherally blue. If my memory serves, in low light it looks more like the image below. Click it to see how the painting changed with additional light. 'Daybreak' was an immediate and staggering success. More lissome, lightly clothed lasses in mock-classical settings followed. The public couldn't get enough. With the exception of his justly famous Knave of Hearts book in 1925, the remainder of Parrish's career was mainly spent painting these popular images and a series of sumptuous landscapes for Brown & Bigelow calendars published from 1937 through 1962. Each calendar had one Parrish print and Ludwig reproduces many of them - unfortunately only a couple in color - like the one from 1950 at right. He created several murals, some of which still adorn famous hotels and bars from coast to coast. He lived his entire life at his New Hampshire home/studio at The Oaks with his wife, who died in 1953, and his mistress and model, Sue Lewin, who survived his death in 1966 at age 95. He was by all accounts a charming and intelligent man whose writings add a great deal to the text in Ludwig's book. His flouting of social mores seems to be of a piece with the 'exceptions' granted the rich and talented. He certainly qualified. Lorie I loved that song............but I hate running or jogging.......there are so many modes of transportation.........my favorites, and I had to find a new house the last one has too many stairs. Right song but wrong video.. This is a better video.. Love the ending! Emerson Hart "If You're Gonna Leave"